You saw it here first... dropping it to the rest of the internet on tuesday! WOOHOOO! FS700 WOOHOOO!!! DJI Phantom WOOHOO!!! 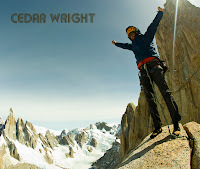 Rockstars in the Movement from Cedar Wright on Vimeo. A Phantom Quadcopter can be a good purchase, for security purposes as well. It is important that you check the cameras well before you buy your Phantom 2 Vision + . The DJI parts must be easily available too. The drone ground station must be equipped with a strong signal and there must be some sort of an alert mechanism if the drone floats close to the no-signal territory. The Latest Album!!! Twenty songs from Cedar's wild imagination.